Fresh ingredients come together to form something beautiful! 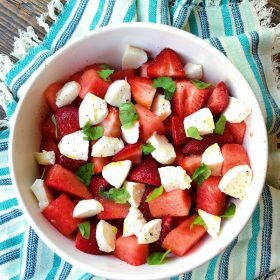 Mozzarella is one of my favorite cheeses and I thought that it would pair perfectly with the fruit in this recipe. 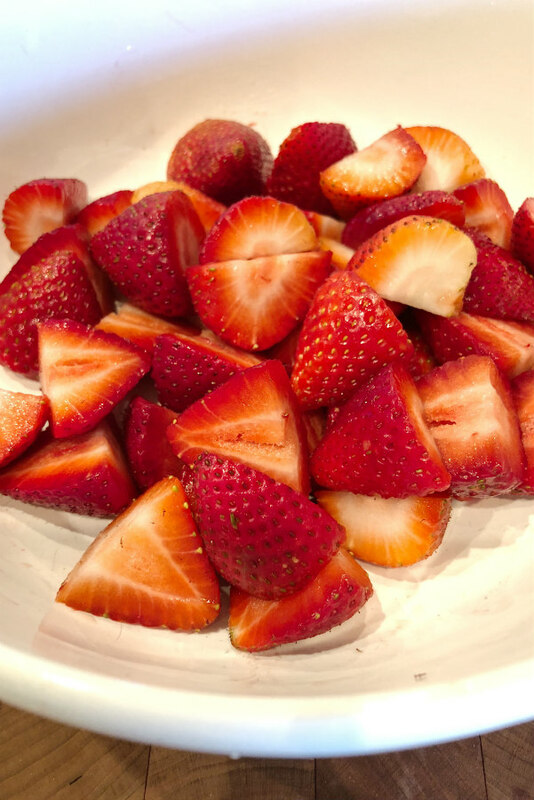 All of my ingredients are incredibly fresh, especially these strawberries! After all, they are in-season…. Hopefully I can pick some strawberries myself when I visit California next week! Have FUN while making this salad!! It isn’t your boring salad with lettuce and a random dressing… It’s supposed to be creative and personalized! You can use YOUR favorite fruits and cheeses while preparing this dish. There are no concrete guidelines for this recipe. I love seeing people get creative in the kitchen! 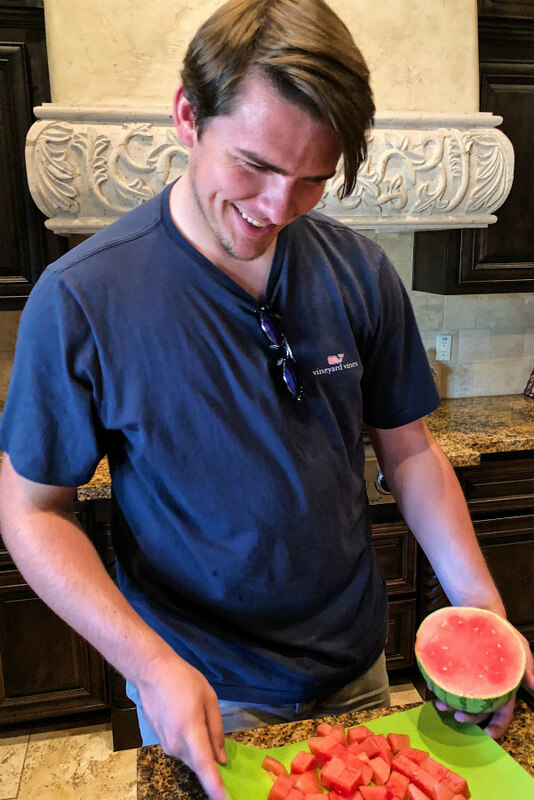 Watermelon is delicious in the summer. Perfect for barbecues, pool parties, beach days, and so much more. It is a classic American staple for the Fourth of July. 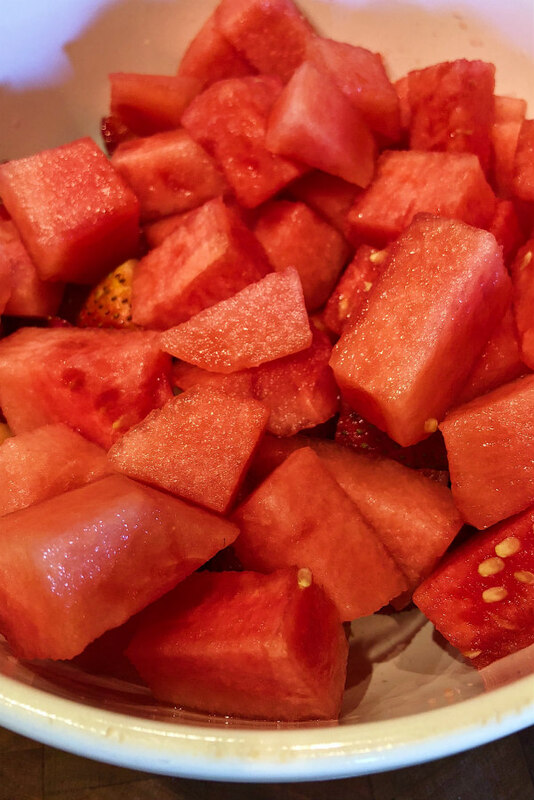 That’s exactly why I decided to use watermelon in my recipe… And the fact that it is so yummy! I’m happy because I know that after this picture, I’ll get to sit down and eat my beautiful creation. Everything just works perfectly together in this recipe. Kids will LOVE this salad. It’s more of a fruit salad with a twist than anything else… If you’re making it for the Fourth of July, throw in some blueberries and get the red, white, and blue theme going. 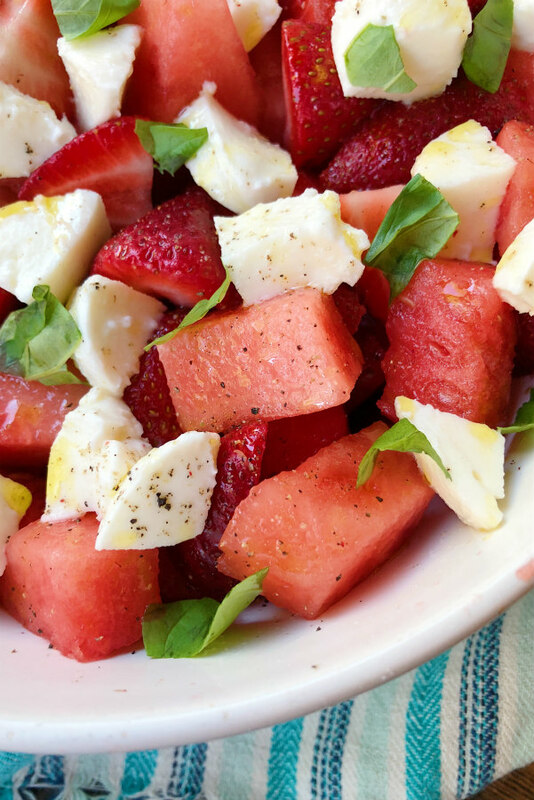 This Watermelon Strawberry Caprese Salad is remarkably easy to make. 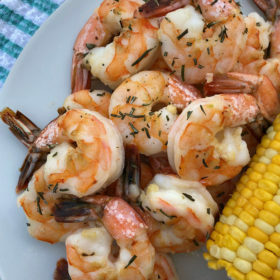 It’s the perfect summer dish for any event! This recipe brings out everyone’s creativity and encourages customization so you can make a dish that fits YOU! I can’t wait to see the creative ideas that all of you will come up with. Let me know what you use to customize your salad! 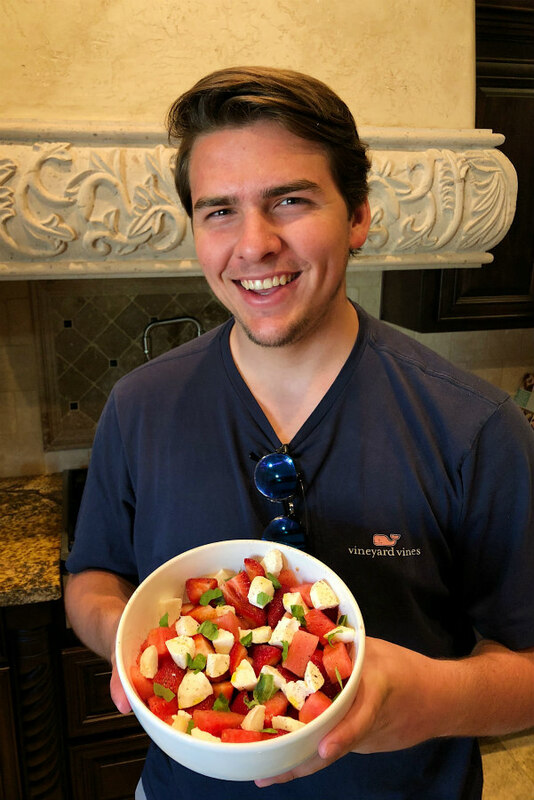 If you are looking for more recipes for your summer BBQ, you might enjoy my Red, White and Blueberry Cheesecake Mousse or this Summer Italian Spaghetti Salad. Snickers Ice Cream Brownie Pie and Blueberry Lemon Crumb Bars are good choices too! The best summer salad recipe! 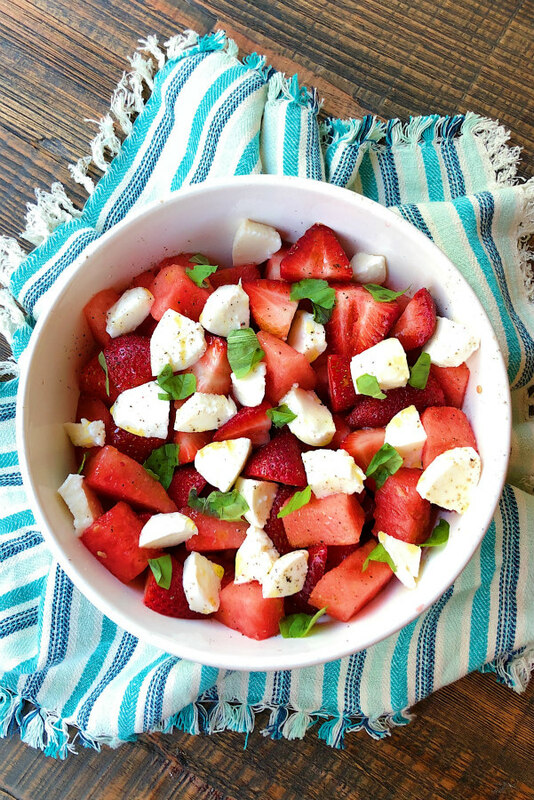 In a large bowl, combine the strawberries, watermelon and cheese. Drizzle the olive oil over and toss gently. Season with salt and pepper. Garnish with basil, and serve (or refrigerate until ready to serve). 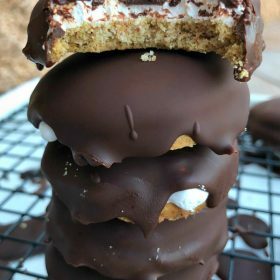 This looks yummy, have to make this one.